The Nike Mercurial Vapor Superfly III Firm-Ground Men's Football Boot is the epitome of velocity and precision on short-grass fields. Flywire technology helps provide ultra-lightweight support to the soft and supple teijjin synthetic leather upper which in turn provides comfort and support for the foot. 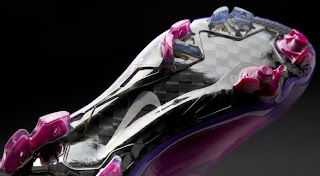 Flywire gets its strength from thin Nylon fibers strategically placed on the upper of the football boot to hold the foot in place, helping to reduce slippage during running. This allows for a huge reduction in weight because material is used only where it’s needed for structure. 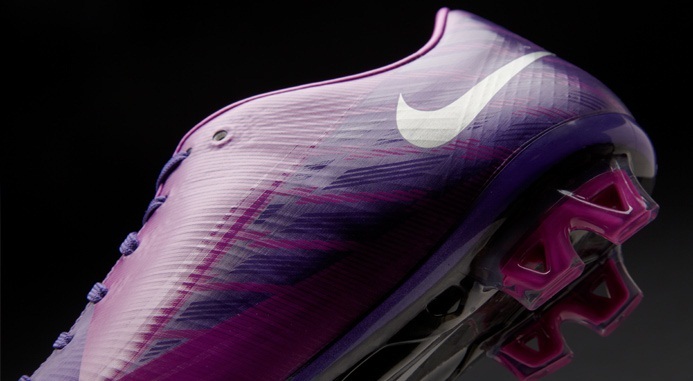 The Nike Mercurial Vapor Superfly III Firm Ground Football Boot has an bold appearance that will catch everyone's eye thanks to the sensational purple and silver colourway. 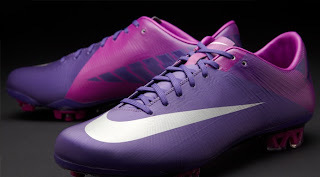 These Nike football boots have been enhanced with a strategically located coating in the forefoot area which is designed to assist control of the ball at maximum speed. A foam heel collar which has a clear sticky coating helps provide a snug, secure fit to the Nike Vapor Superfly III. The Mercurial Vapor Superfly III Firm-Ground Boot features pressure-activated Nike SENSE technology that adjusts stud length according to surface type for the relentless grip and acceleration the game demands. Dual-density studs and Nike's Vapor Traction system allow for effortless cutting and instant acceleration, while cored out studs in the heel reduce weight and deliver rock-solid stability and added quickness. 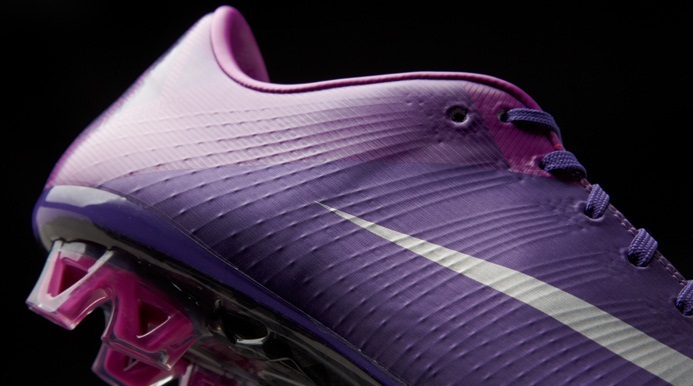 For instant bursts of speed, this boot also has toe-off traction in the forefoot.